The strong curves and general complexity of this Baroque-inspired picture frame provides a resolute presence. Constructed with a solid wood core, the Monteleone comes wrapped in an elaborate, ornamental composite. 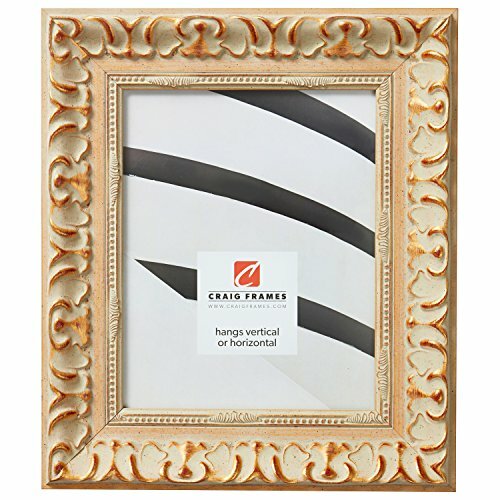 The weighty drama of this picture frame is finished in cream and gold, with subtle red flourishes and amber undertones throughout. Elevate your print display by adding a Smooth White mat. The Monteleone Orleans Gold picture frame makes an exceptional centerpiece for a more stately decor.